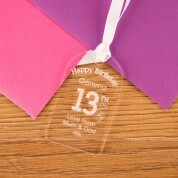 Add an extra touch to a girl's 13th birthday gift with a personalised gift tag. 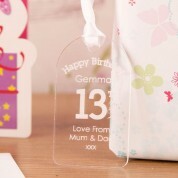 This cute design is sure to stand out amongst all her presents. 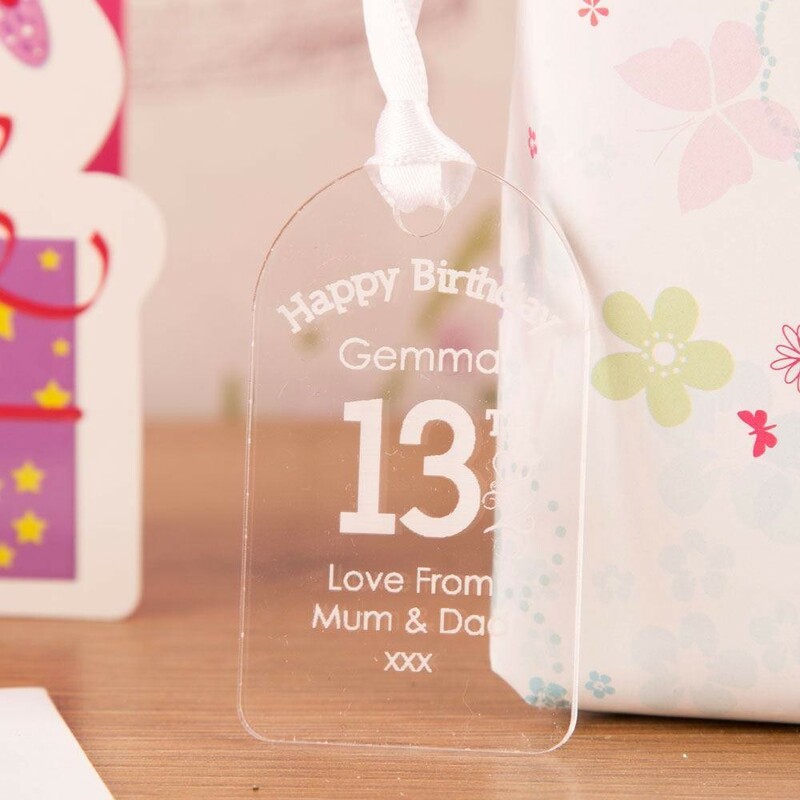 It is laser engraved with “Happy Birthday” followed by her name, and features 13th in the middle with love hearts to the side. It's completed with a love from message from yourself. She'll love this small memento of her big birthday!